Jim Mattis seeks waivers from sanctions for some. Will this help India? 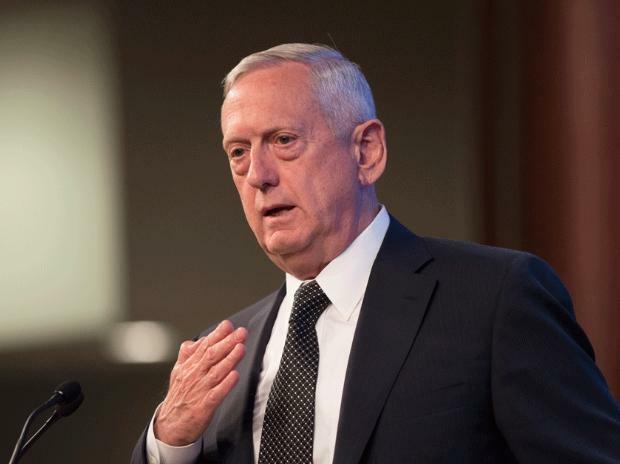 The India-US relationship is on a firm foundation and the Trump administration sees India as a "consequential" emerging partner, US Defense Secretary Jim Mattis said Wednesday. Mattis and US Secretary of State Mike Pompeo arrived in New Delhi to hold the inaugural two-plus-two dialogue with their Indian counterparts Defense Minister Nirmala Sitharaman and External Affairs Minister Sushma Swaraj. The focus of the dialogue will be to deepen strategic ties and resolve differences over India's defence engagement with Russia and crude oil import from Iran. "My visit is a firm indicator of what we see as India's place among our most strategic, and I would even call them consequential emerging partners," Mattis told reporters travelling with him on his way to India. "Not just in the Indo-Pacific Region, but in the world, as India steps up to its legitimate role as they see it in the community of nations. During Prime Minister Modi's visit to the White House last year, the president, President Trump, said - and I quote here 'The friendship between the US and India is built on shared values," Mattis said. "We all know those values are based on democratic values, and that's what we see in the world's two largest democracies that exist. We don't have to create those values, those values exist. This is not an opportunity we are creating, it's an opportunity that is resident in the two countries' politics," he said. Mattis, one of the strongest advocates of India-US relationship in the Trump administration, said that the two nations shared more than just democracy. "We share a steadfast commitment to a safe and a secure, a prosperous and, especially, a free Indo-Pacific," he said. "Free of terrorism and freedom for each nation to make sovereign decisions on their own, based on their own interests. This is underpinned by our steadfast commitment to the rule of law, the freedom of navigation, freedom from coercion for all nations no matter their size or the age of their independence," he said. As the world's largest democracy, the US sees India as taking on a greater regional and global responsibility, a stabilising force, Mattis said. "Secretary Pompeo and I are coming to New Delhi for the continued consultations. I believe we will be reaffirming much of our shared vision for the region, alongside our Indian counterparts, Minister Swaraj and Minister Sitharaman, during this first two-plus-two meeting between the US and India at the ministerial level," he said. He said there had been scheduled meetings before, but scheduling challenges on both sides had interrupted those schedules. "We did not cancel them; we simply kept postponing them until we could find a mutually convenient time. The normal give and take in - in the tempo of the offices that we and our counterparts occupy," Mattis said.